"From the moment we entered the dealership Clint Parks greeted us with an enthusiastic attitude and was eager to help!" Georgetown Auto Sales was very accommodating with the purchase of my new car. Thank you to Clint Parks for helping me out with what exactly I wanted. 5 stars!!! Tim Struck went out of his way to help us pick out a great car. He was very friendly and very helpful. He understands us like no one has. I would definitely be letting others know about this place and how helpful the people who work here are. They were super nice! My first purchased car and love it! Hands down the best dealer I have ever had the pleasure of buying a vehicle from! God bless these folks and thank you! Great service! Makes buying a car easy especially during tough times!!! Highly recommend! Great people! Large selection of cars and trucks! Had an great experience. 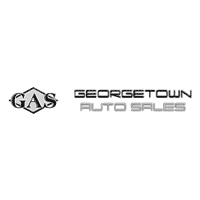 Georgetown Auto Sales Is Happy To Answer Any Questions Or Concerns.